Sew ’N Sew Bridal and Tuxedo was established in 2002. Over the course of the past 16 years we discovered that above everything else, brides want service! Let's face it you can buy a wedding dress anywhere, at this special time you want to work with someone who will work with you to gain an understanding of your vision so it can be achieved. We are located in Northwest New Jersey servicing brides in the Tri-State area of New Jersey, Pennsylvania, and New York. We have a large collection of Wedding Dresses and Plus Sized Wedding Dresses, bridesmaid, Mother of , Flower Girl, Prom Dresses, Tuxedo and Suit Rental and Sales. Our service to our customers is what has set us apart and has been recognized with honors such as Best of Weddings for 2008 thru 2019 on "The Knot" , Hall of Fame for the Knot , Wedding Wire’s" Bride’s Choice Award" for 2009 thru 2018 and The New Jersey Herald's "Reader's Choice Award" for 2008 thru 2018. You can see all of our samples on our "Dresses in Store" Page. We carry lines for the Mom's, bridesmaids, and Flower girls. Check out " Dresses in Store" page to see a good portion of the styles we carry. We also carry Headpiece, veils, jewelry, purses to accessorize that special look. We pride ourselves in making our Grooms as striking as our brides. Our collection has 50 styles to choose from, the latest styles from Michael Kors, Allure, Ike Behar, and Savvi Evening. All with the best wedding styles and savings. Go to our "Tuxedo" page to see all we have to offer you for your special day. Sew 'N Sew Bridal and Tuxedo was formed in 2002 by the owner Debbi Anderson. She was well know in the area for her expert work as a seamstress. 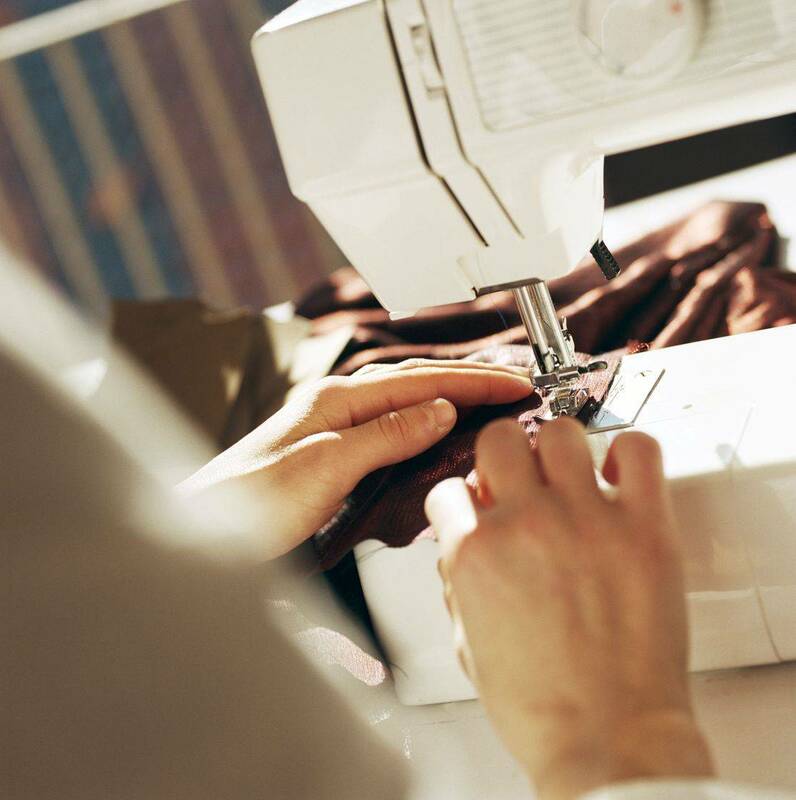 As the business grew, she hired other expert seamstresses and today is the best know in the area for their custom work and quality work they have put into the perfect fit for their clients.